International Women's Day (IWD) is an annual tradition that began in 1908 and is observed either in late February or in early March. The day marks a global celebration of women's economic, social, political, and cultural achievements. Each year, new barriers to female success emerge, which makes it difficult to achieve gender equality in all aspects of life. 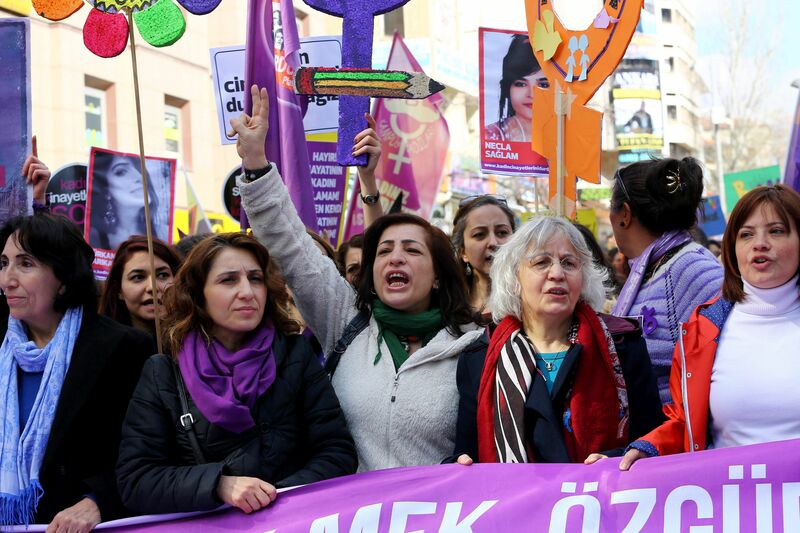 Therefore, in addition to the celebration of women's achievements, IWD encourages citizens all over the world to take action toward gender parity between men and women. Past years have focused on themes such as "Woman and Human Rights" and "World Free of Violence Against Women." The IWD theme for 2016 is "Pledge For Parity." It asks people all over the world to pledge to help women achieve equality with men. By pledging for parity, participants can advocate for gender equality in different areas that affect women every day. The IWD website allows you to pledge electronically, which is an easy way to get involved with this year's efforts. The idea behind the #PledgeForParity campaign is to "think globally, act locally" when taking actions to help women who experience unjust inequalities all over the world. By signing your name on the IWD website and using #PledgeForParity on Twitter, you can join in the movement to achieving gender parity all over the world. Although there have undoubtedly been advances for women in society, economics, and politics, there are still many ways in which they are left behind and treated as inferior to men. The IWD website highlights some of these inequalities in an attempt to show people why the #PledgeForParity is so important. With more women in the boardroom, greater equality in legislative rights, and an increased critical mass of women's visibility as impressive role models in every aspect of life, one could think that women have gained true equality. The unfortunate fact is that women are still not paid equally to that of their male counterparts, women still are not present in equal numbers in business or politics, and globally women's education, health and the violence against them is worse than that of men. The #PledgeForParity is more important than ever this year. The World Economic Forum released a 2015 report which predicted that the gender pay gap won't close completely until 2133. That prediction is significantly worse than the World Economic Forum's 2014 report, which projected that it would happen by 2095. By pledging for parity, both men and women can work together to make tangible improvements in society — from the boardroom to the classroom to the Oval Office — so that women are equally represented and viewed as equal to their male counterparts. Since the announcement of the IWD's theme for 2016, #PledgeForParity has taken off on Twitter. Individuals and corporations alike have made their pledges public, and they are encouraging you to do the same. These tweets show the impact you can have by making a #PledgeForParity and working toward accelerating gender parity so women aren't mistreated for another century.